You only have to read the title of this book and the author's name to do a bit of a double take! The story of spy Jan Willem ter Braak... as told by author Jan Willem van den Braak. Despite the similarity in their names, the author says there is no relation between the two. Although the similarity in names intrigued the author as far back as the 1970s. The author has researched the life of Engelbertus Fukken (alias Jan Willem ter Braak), a Dutchman who was caught up in the web of the German Abwehr's spy machine. Little is known about Fukken as he is one of the very, very few German spies who managed to evade the Home Guard and MI5 during the war. Fukken arrived in England via parachute in early November 1940, landing near Bletchley Park, Britain's top secret code-breaking facility (a coincidence it would seem). He made his way to Cambridge and over the next few months lived under the radar, more or less. At one point, his Ration Card caused a bit of a stir but, despite the fact that it was brought to the attention of the authorities, no one pursued the issue. Finally, in late March/early April 1941, having apparently run short of funds, Fukken took his own life in an air raid shelter in Cambridge. At least that's the accepted theory. After the body's discovery, MI5 did some searching and Fukken's radio transmitter was found in a locker at the local train station. The question that bothered MI5 was... did Fukken actually manage to make contact with the Germans via his radio transmitter? That answer to that question is still a bit of a mystery. 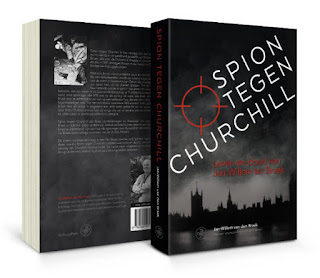 Spy Against Churchill, written by Jan Willem van den Braak in Dutch (WalburgPers 2017), is the story of the search for the forgotten Jan Willem ter Braak, who spied for the Germans in England and committed suicide with his Abwehr pistol in an air raid shelter in Cambridge in March 1941. With the help of newly discovered sources and information from relatives, the pre-war youth of the spy in Noordwijk aan Zee [Holland] and the aftermath of his death have been taken out of bed. Among the many fascinating discoveries in the life of the spy: his father in the First World War in Germany was arrested in Königsberg for espionage against the Germans; MI5 only discovered the true identity of Ter Braak after the war; and that he had a half brother, Willem Briedé, an infamous war criminal, who received the death penalty in absentia after he had escaped to Germany. From the now-public MI5 file, Ter Braak was not the only spy sent England to spy for Hitler's Germany but he was the only one to escape arrest and eventually committed suicide in despair, because he ran out of money and the Germans did not invade England, as foreseen. Spy Against Churchill puts forward strong clues on theories that circulate about Ter Braak. Among other things, his involvement in a murder case in the English countryside [our friend Bella in the Wych Elm], his alleged espionage for Russia and the sacrifice of Ter Braak and other spies by the German Abwehr. The main question is what exactly Ter Braak did in England. There were even rumours after his death that the Spy Against Churchill was preparing an attack on Churchill. Thus, this forgotten spy finally comes back from the fog, disappearing three quarters of a century ago. Spy Against Churchill is initiated by a preface from Ad van Liempt. In this he says: "I have been able to follow the research and writing process of Jan-Willem van den Braak fairly closely. He is not a professional historian or researcher, but he has developed into a keen and committed researcher, and also emerges as an unstoppable storyteller." I would dearly love to read this book but... I think I will have to wait until it is translated into English. It sounds like the author has uncovered quite a bit about the family history of Engelbertus Fukken. Some members of his extended family also worked for the Germans. Apparently his father, Willem Briedé, had been arrested in 1915 in Königsberg accused (it would appear falsely) of spying against Germany. 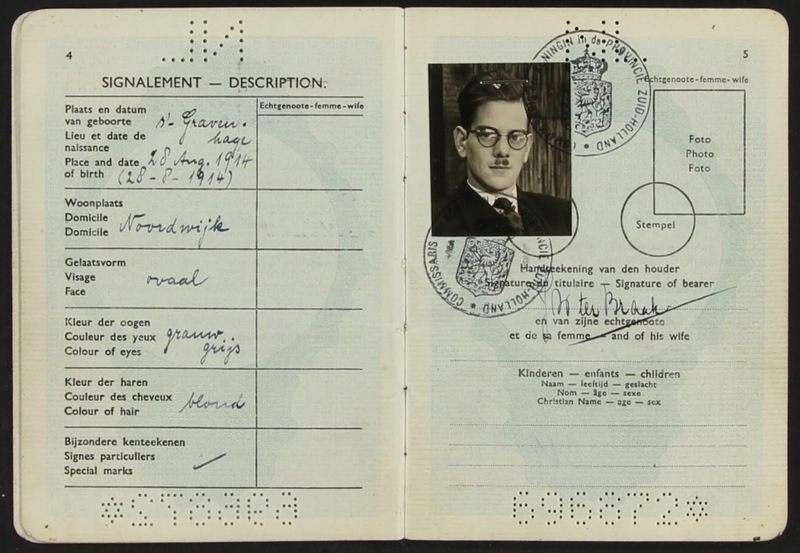 Engelbertus' half-brother, Willem Briedé Jr. (his father's son by a first wife) was apparently involved with the Nazi Sicherheitsdienst (SD) in Holland (arresting Jews) and was deemed a war criminal in Amsterdam in 1944. 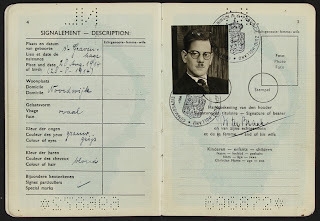 He received the death penalty in absentia in 1949 but had escaped to Germany where he continued to live until his death in 1962 (presumably by natural causes). The author also discovered that Fukken became a member of the Dutch NSDAP (Nazi Party) in 1933/1934. He was later arrested for stealing money and was thrown out of the party. Finally, the author investigates a number of flimsy theories about Engelbertus, many put forward in the 1950s, 1960s and 1970s, before MI5 documents were declassified. One theory, put forward by Donald McCormick was that Jan Willem ter Braak was somehow involved with Bella in the Wych Elm. After extensive research, the author concludes that there was absolutely no connection between the two cases. Given that so little was known about Jan Willem ter Braak, it is no wonder that his story was a magnet for strange and fantastic theories. It is nice to know that someone has done enough research to dismiss many of these!